Cliff moved to Farmington from Amarillo, Texas in January 1977. He spent the next 22 years getting to know the people of the Four Corner’s Region selling wholesale hardware and construction products. In 1999, he entered the glass industry through the purchase of Sun Glass and brought a new level of customer care and marketing to the glass industry in the region. 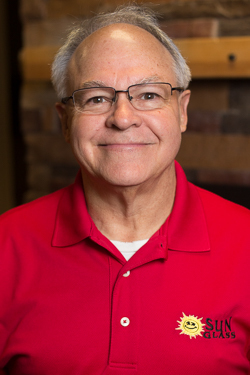 After 50 years of working in the construction products world he still loves his job and his favorite things is caring for the customers as they walk in the front door.